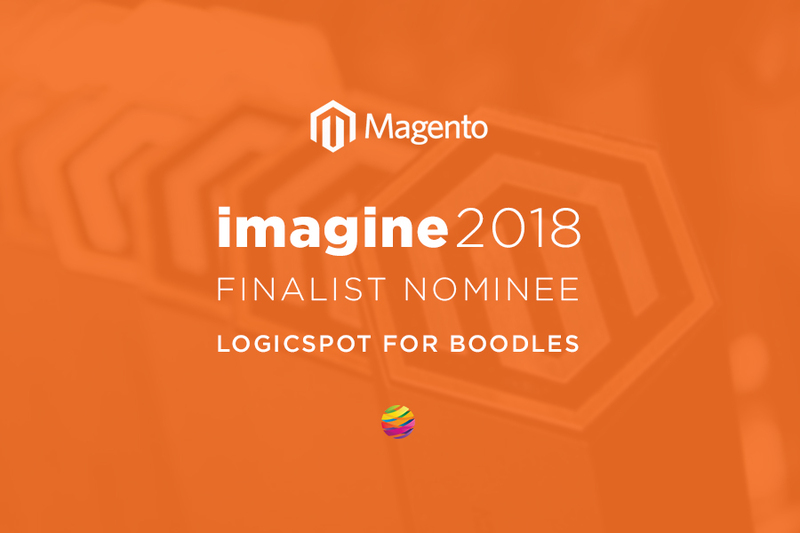 We are thrilled to announce that our lovely client, Boodles is a FINALIST for the Best Magento Upgrade Award at Magento Imagine 2018! Attracting more than 3,000 ecommerce experts from over 50 countries, it’s safe to say Magento Imagine is a big deal. This is actually considered the premier Magento commerce conference. Key innovators, leaders in the industry and providers from all over the world have been using this opportunity to connect, inspire and educate. Imagine 2018 will take place at the Wynn resort and casino in Las Vegas, Nevada, across three days. These three days are packed with keynote speakers, breakout sessions, insightful presentations and so much more, all designed to help attendees make the most of their business. One of the conference’s most exciting moments is the presentation and recognition of the Imagine Excellence Awards winners. This year, ecommerce agencies globally could submit or be nominated for their best Magento projects to 15 different award categories and get acknowledge for: Best-in-Class Fulfillment, Best Sales Channel Growth, Most Innovative Consumer Experience, Best Magento Upgrade and many more. ”The Imagine Excellence Awards recognize the exceptional creativity, innovation, and success of Magento merchants across the globe. 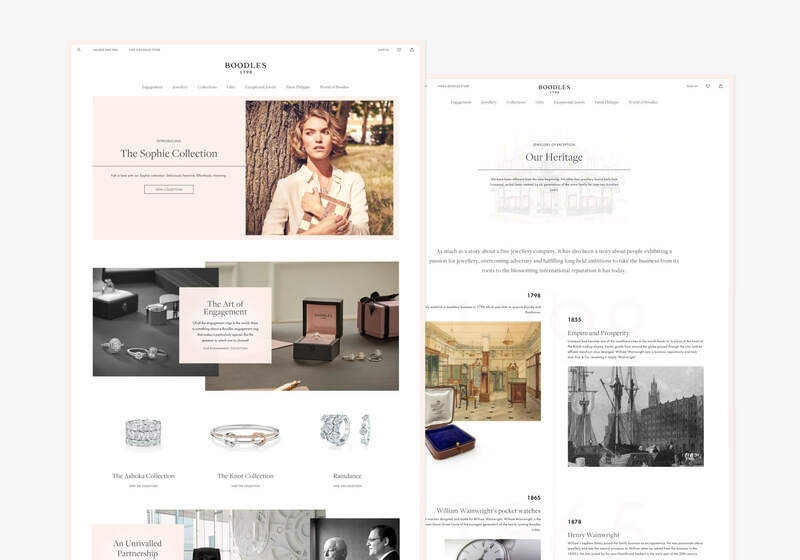 The ambitious Boodles family and amazing team is continuously working on their business expansion across the UK and globally, and they needed a website that would provide the best user experience to their customers and drive their brand forwards. As an existing client of LogicSpot’s, they turned to us to fully redesign their site and carry out a Magento 2 upgrade. 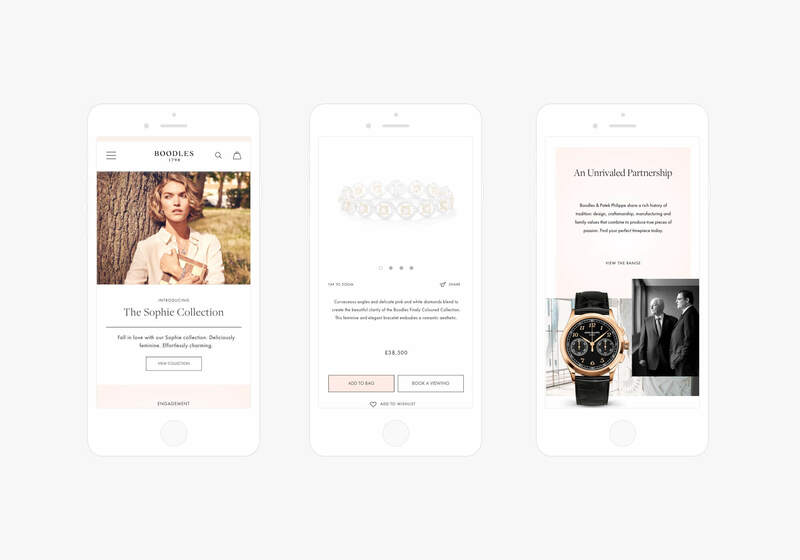 We’ve completely rebuilt Boodles’ Magento 1 Community website on Magento 2.2.3. using a wholly bespoke, high-quality design and personalised to streamline the omnichannel experience across any device. We’ve used notable extensions to elevate Magento’s out-of-the-box functionalities. Furthermore, we’ve integrated Magento with WordPress and Visual Composer to allow the client to easily manage the content at any time, without the help of a technical expert. Hence the website delivers an engaging experience for both users and the ecommerce team behind it. 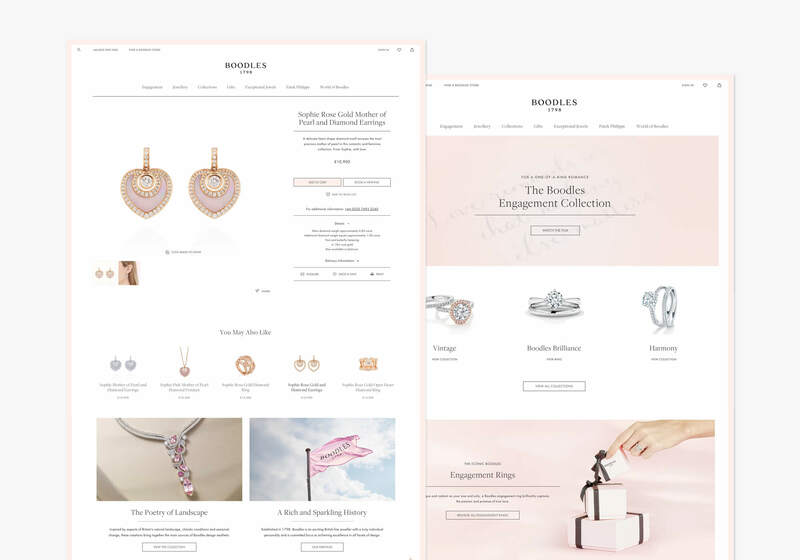 Since the new Boodles site launch in September 2017, it continues to exceed all benchmarks across all devices, year on year. The Magento 2 website provided a boost in site speed and ecommerce revenue. It also achieved to put mobile and touch devices first in terms of traffic. On top of that, it surpassed expectations by greatly shifting the in-store enquiries and purchases. ”I would say I'm modest by nature - I don't think you've ever seen us shout that we're the best, or how amazing we are ever ... so to be nominated and then recognised by the company we admire and have chosen to platform with, for so many years is superb. Even to be a finalist, whether we win or not, is a huge deal for us. It shows that all our hard work, and our approach, and our efforts are not only noticed, but being rewarded. I'm on cloud nine. 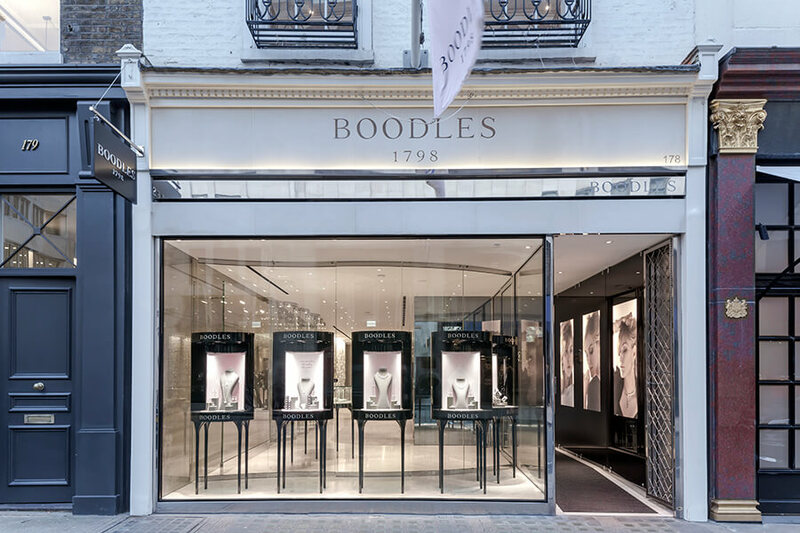 So the Boodles project is definitely one of our team’s exceptional achievements. Special thanks to our lovely in-house team for their rewarding hard work crafting, designing and building the Boodles project … and a huge congratulations to Boodles and everyone else who was nominated at these globally prestigious, global awards!